The first road builders in the area were the Romans. 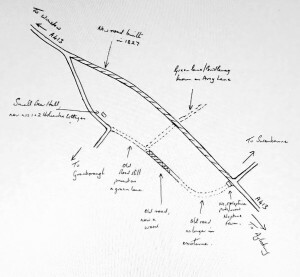 The most important road nearby was Watling Street, which still follows the same general line passes through modern day Milton Keynes as it did over 1,600 years ago. At its closest, it was about 6 miles from Swanbourne. But there were other, smaller roads closer, sections of which can still be traced today. 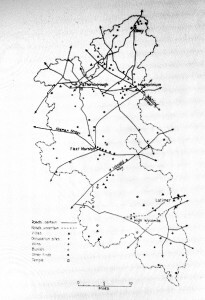 The map below, which is derived from ‘The Buckinghamshire Landscape’ by Michael Reed, shows the network of roads within the county. The road to the East of Swanbourne passes through Stewkley and runs fairly straight to the East of Mursley. The road to the South crosses the Aylesbury-Buckingham road at Hurdlesgrove, going on through Dunton. The road to the West is about a mile on the other side of Granborough. The road to the North follows closely to the Bletchley-Buckingham road. So although no Roman road seems to have actually come through Swanbourne, the village has Roman roads on all sides. After the Romans left, some of these roads probably fell into disrepair, and other tracks began to become important. The earliest detailed map showing the village is the Fortescue map of 1599, which includes all the estates of Sir John Fortescue. The shape of the village has not changed much since that time and the parallel roads of what are now the Mursley Road and Nearton End can be clearly seen. The road out towards Mursley was called the Ridgway, the road towards Winslow was called Portway and the road to Aylesbury was called Aylesbury Way. The roads to Mursley and Winslow follow a similar route to today’s roads, but Aylesbury Way remains as a bridleway, and has been known as Ave Lane, Avery Lane and Hayway Lane at different times. However, they would have been tracks of the kind we now call Green Lanes – and would have become very difficult to use in wet weather. An Act of 1555 had imposed an obligation on parishioners to do four (and later six) consecutive days unpaid work each year repairing the parish roads. This was particularly unpopular where the roads carried a lot of through traffic. It was not until 1835 that this duty was removed from Parishes.It was not until the 18th Century that any major efforts were made to build good roads, with the creation of turnpike trusts. In 1721, the Wendover to Buckingham Trust was set up, and the road through Swanbourne which is now called the A413 – was part of their responsibility. This improved the standard of the road, raising funds by charging a toll on travellers along the road. It also meant that the main road between Aylesbury and Buckingham came close to the village, replacing the road that passed further west. Another major change had come about in 1762, when the strip fields in the village were enclosed. This was a major change in the village, and to carry it out, first a special act of Parliament had to be passed and then a group of commissioners appointed to work out the allocation of the new fields, and also to make some changes to the roads. 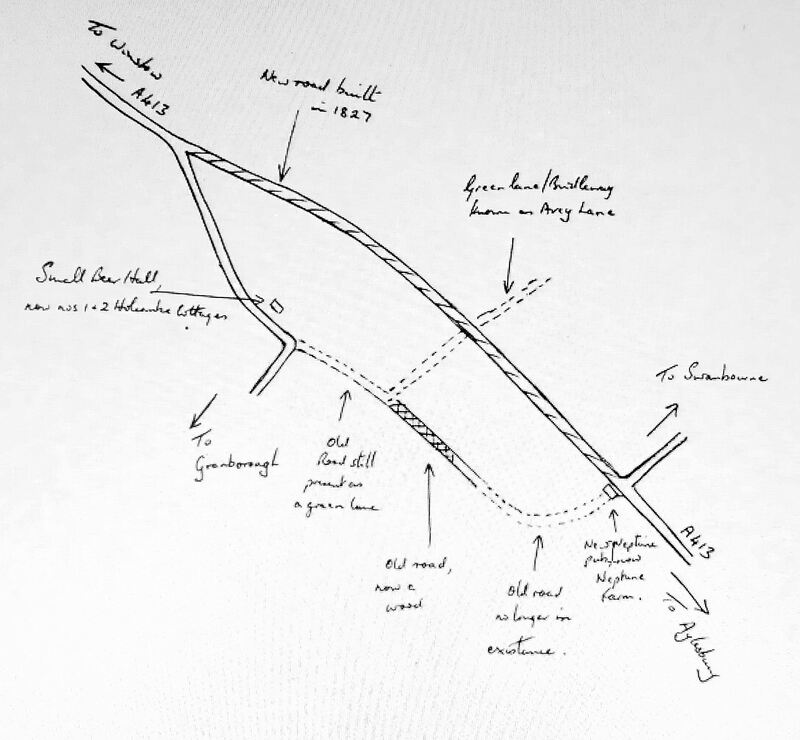 There is a copy of the map that they produced in the Buckinghamshire Archives. The map showing the central section of the Parish, which covers the village area, clearly shows three roads that were closed at that time. There was originally a road to the south of the village, connecting the Stewkley Lane to Ave Lane. There was also a small section of road from the top of the Stewkley Lane which came out into what is now called Tattams Lane. Part of this road is still there but number 17 has been built where the road originally ran. The third section of road that was closed was ran to the right-hand side of Barrack Row and originally joined the Winslow Road, but is now a dead end. A further change came in 1827 with a re-routing of the turnpike road through the parish. The turnpike road originally went past the houses in Holcombe Gutter. But this seems to have had some problems, probably because it was low-lying and close to a stream, so would have got very muddy in wet weather. So in 1826 it was agreed to straighten this section out. The Holcombe Gutter houses were at that time a single building called Small Beer Hall, which served as a public house, and William Inwood, the publican was not pleased about the loss of trade that would come about with the change of route. So it was agreed to build a new pub opposite the point where the road from Swanbourne down Cemetery Hill reaches the A413. This new pub was called the Neptune, after the name of the ship which Captain Thomas Fremantle had been in command of at the Battle of Trafalgar in 1805. The house is still there, but is no longer a pub. 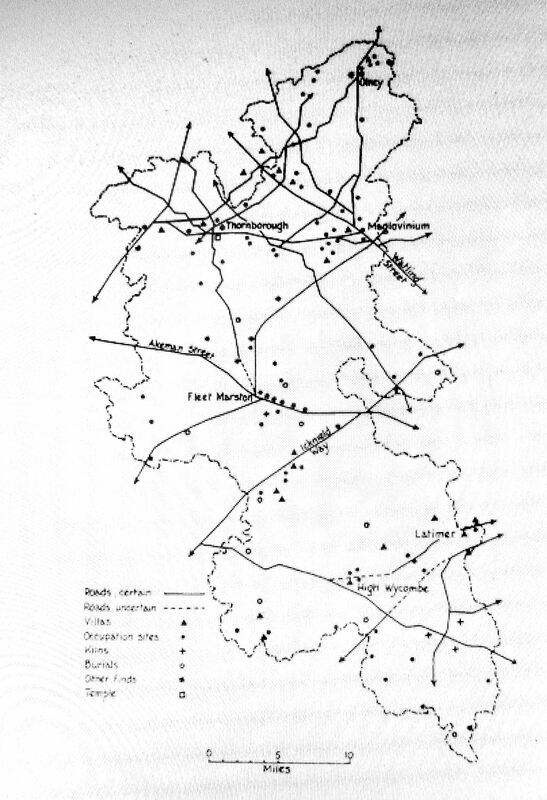 The modern road system has built on this old pattern of roads, mainly by metalling the main links between the villages. In the process, a few roads have remained as Green Lanes, notably Stewkley Lane, Ave Lane and the Lane from Sharndown to Hoggeston. The responsibility for the maintenance of all these roads have now passed to the County Council. However, the Parish Council still has a role in maintaining the network of footpaths which still cross the parish. These footpaths follow routes which would have been important to the farm labourers who needed to get from their homes to the outlying fields. But they are no longer needed for this purpose. Instead, they are mainly used as a leisure facility by walkers. However, one track through the village has now been upgraded into a cycle route as part of the National network of cycleways being put in place by Sustrans. This comes from Milton Keynes, via Bletchley, following an old road called the Salstreet or the Salt way, running alongside the railway line as it comes into the village and then following the road towards Moco Farm before crossing the fields to Winslow. This route would once have been a link between Winslow and Watling Street.